I thought of compiling the seventeen new places of two-thousand-seventeen in a blog post primarily because urban explorer is my middle name, and I feel I should be doing something with this information broth. I’ve been reluctant to “make lists” on the blog as those have become a dominant blogging cliché and I wanted to take distance of such marketing approaches. I come from the tradition of old-school blogging, where people used to share non-branded highly personal stuff. Although I have adapted quite well to the current blogging ways, where image and social media have become essential, it doesn’t make sense for me to maintain a blog that is just about gathering impersonal information. When it’s just about listing “hotspots”, it’s not a blog but a website, even if a photo of a trendy girl accompanies the text. When it’s about the “Ten (*insert whatever*) you cannot miss in Amsterdam”, it’s BuzzFeed. This being said, every time I am talking to friends and acquaintances, I also realize that decently-curated informative posts can be valuable to my readers. Moreover, when I am travelling myself, blogs are my primal source for finding my way around, so I guess I should be contributing as well. Maybe it’s not about the lists, but the actual voice behind them. So let’s get to the juicy stuff. These are not necessarily places that have opened their doors in 2017, rather the ones I have become acquainted with, during last year. If you have been following Amsterdive for a while, you won’t be surprised to find a good amount of specialty coffee spots here. Other than that, there’s art, culture, sustainability, yoga, a church, a tower, a cinema festival, a club, a co-workspace, and a beach! With no further ado, let’s dive into the first 9 places of my seventeen favourites of two-thousand-seventeen (there will be a part II to this post). I met Ania, one of the owners of OKO, while standing in line to the toilet (fancy!). I knew her from somewhere and I later realized I’d seen her in the crowdfunding campaign video she had made for OKO, together with Natalia, her partner-in-crime. In the meanwhile, I have spent Christmas Eve at their lovely cultural cafe, together with a group of special people, an event in which we managed to recreate a real family-like atmosphere, bonding with friends and strangers alike, sharing food and drinks, listening to music and talking to each other. Simple and brilliant. OKO is definitely a melting point and you can visit them for coffee, lunch, for a workshop or a concert. Besides, Ania and Natalia are simply the best hosts in town. This summer I house sat a lot, and I have had the blessing of staying at this friend’s place in one of the most beautiful streets in De Pijp. That’s how I came to discover this sweet coffee shop where the Italian language is background melody. When it comes to coffee, Italians have been kings since the beginning of our era, and La Boutique Del Cafè lives up to the stereotype. No hypeness here. Specialty coffee, A CAT, lots of tables, and friendliness do it all. If you follow Amsterdive closely, you know H/eart.h already. This “Nature Inspired Creative Place”, in the heart of the Albert Cuypstraat, is a good example of what makes Amsterdam special as, besides doing edibles, it does art, youth and multiculturality. The owners are Italian and serve vegetarian meals inspired by their own roots. In these particulars, I believe it is enough to say limoncello tiramisu. As for the rest, H/eart.h promotes upcoming artists by displaying their work in the place and they invite musicians from all around to perform in their Sounday afternoons. If you’ve ever read my “guidelines for collaborations” section, you know that sustainability is one of the anchor-principles of this blog. 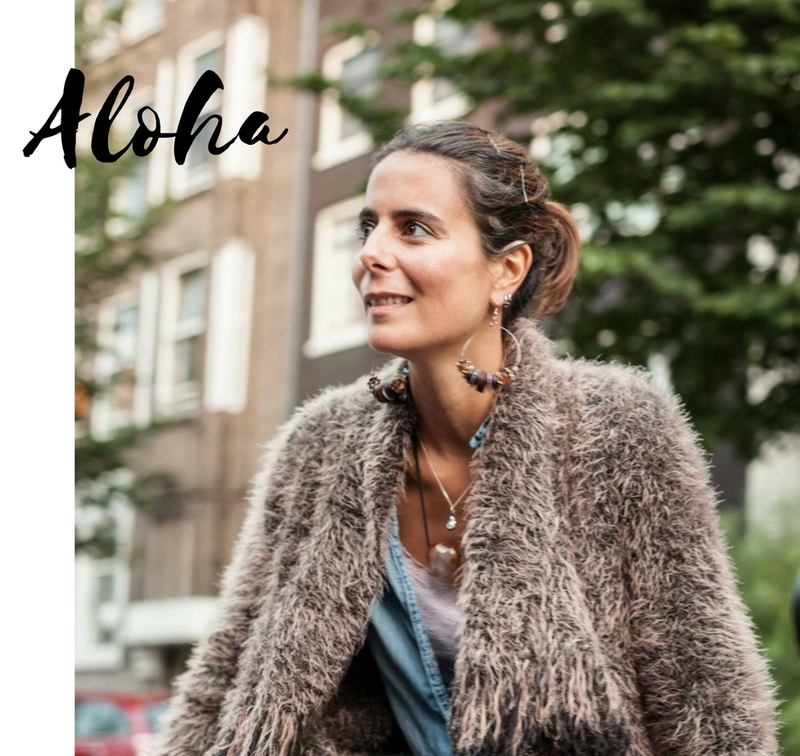 Recently, I have had an assignment on where to buy fair-fashion in Amsterdam and off I went on a mission. That’s how I came to discover a number of different businesses, Studio JUX being the space that most made an impression on me. This flagship store is spacious, bright and one can lose their mind with all the options in clothing, cosmetics, accessories, home-decor (even children’s clothing!) available there. Their clothing selection is diverse and very well curated. In short, sustainable heaven on hearth. They sell their own label as well, which has won a PETA award for the “Best Vegan Collection 2017”. I went to De Ruimte (“The Space”) on purpose to see “Conjunto Papa Upa“‘s concert. The facts: I danced as if there was no tomorrow; played around with this mask exhibition they were hosting; The Space is located on top of the tower (the view!). These apparently unconnected facts make for one of the most amazing venues in Amsterdam. De Verkeerstoren is a cultural cooperative where sustainability and circular living and working is “the word”, and De Ruimte is a multifunctional space: a living room, a workspace, a concert venue, a café, a restaurant, and a vinyl shop. Inspiring from every aspect. In 2017 I finally climbed up the Westertoren, which was quite a symbolic moment for me, as I had ‘succumbed’ to a burn-out just a month before. Designed by Hendrick de Keyser in the Dutch Renaissance style, it is the tallest of Amsterdam’s towers (85 meters tall), and it has been a reference in Dutch literature since forever. Getting up there was joy: the 360o panoramic view over the city, with its canals, and bikes, and trams, and rooftops and trees… it makes you relativize everything else. Worth the eight euros you pay for the ticket. One of the top discoveries of the year, Caffeination became a favourite from the moment I first stepped inside. They serve coffee roasted in Antwerp, thee, and soft drinks, that’s it. Caffènation is, in fact, a Belgium coffee roastery that sources its beans worldwide. Other than that, there are plants and a paraphernalia of objects that, as a whole, speak to my heart. Think, porcelain dogs and punk-rock tapes. There’s are large tables and space and friendly baristas and good music and a colourful chill environment. That’s everything I want as for my everyday working ritual. That’s also what I want when I’m not working, now that I think of it. I was introduced to Black Gold by Andra from Amsterdamming. She’s a coffee junkie like me. This is one of her places in town, and it quickly has become one of my favourites as well. Black Gold is both a specialty coffee place and an independent vinyl store. Every time I go there I listen to tunes I love (funk, world-music, Brazilian, hip-hop, and the sorts) and learn something new about music. It both feeds my energy levels and my soul. This is, again, everything I want. Make sure to check out the second part of this saga! I didn’t know about many of these places. The Black Gold sounds like a place I should definitely visit 🙂 Looking forward to more of these kind of posts on your blog!